This is me. It’s not the most flattering photo ever, but it’s me all the same. It’s one of my favourites because I’m standing somewhere I had waited many years to stand. 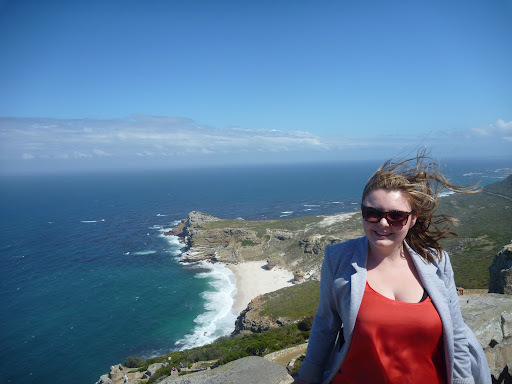 This spot is Cape Point, and is famous for two things: firstly, for being the spot where the Indian and Atlantic oceans meet, and secondly, for being the southernmost point of Africa (although this isn’t technically true!). This spot brought three of my favourite things together: geology, travel, and the feeling of being very, very small. For some reason, I love more than anything the feeling of insignificance. I think it’s because life can be so tough for everyone sometimes, and it brings enormous amounts of pressure. It can be easy these days to feel as if everything is your own responsibility, and if you disappoint someone the world will end. The truth is, it won’t, but it’s easy to forget that. 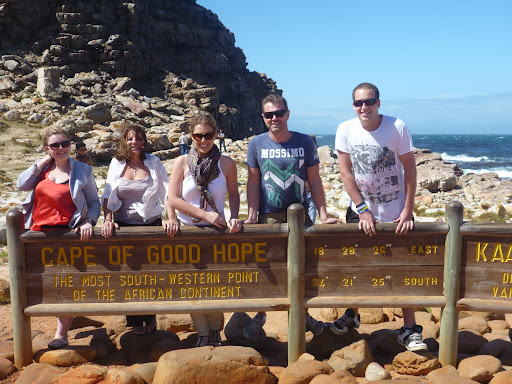 Cape Point and the Cape of Good Hope (see below picture) reminded me that although I am important, and everyone is important, I am one person (and only a 5-foot one at that!) and I can only do so much. It took billions of years to build Earth up to what it is today, and I will only spend about a hundred of those on it if I’m lucky. ← lions and hippos and elephants, oh my!